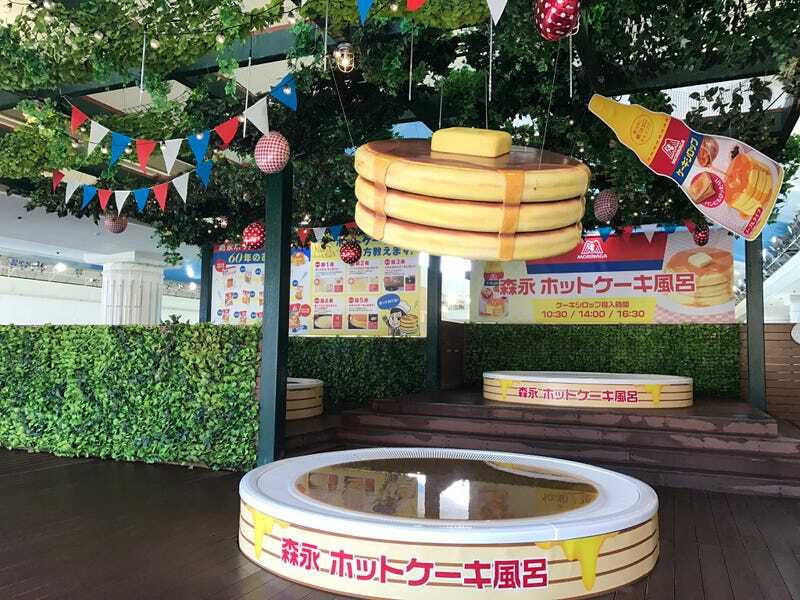 To celebrate the 60th anniversary of Morinaga hot cake mix, special pancake baths are opening at a resort in Kanagawa Prefecture for a limited time. While the baths aren’t actually filled with pancake mix, each hotto keeki ofuro (ホットケーキお風呂), or “hot cake bath,” does smell like vanilla and maple, reminding bathers of a delicious breakfast. If that doesn’t maybe the brown water will? According to IT Media, three times a day, however, maple syrup is added to the bath. This same resort is also home to an amazake, a red wine, and a coffee bath! The Morinaga Hot Cake Bath will be at the Hakone Kowakien Yunessun resort until April 25.